"Something old, something new, something borrowed, something blue, and a silver sixpence in her shoe..."it first appeared in print in 1883. American brides often leave off the last part of the saying, gathering only the first four items. Who does that?! When you're packing for your destination wedding in Italy, that little tradition can be the last thing on your mind... but it's too fun and too cute to leave it out! By the way, have you ever heard the meaning behind this tradition? 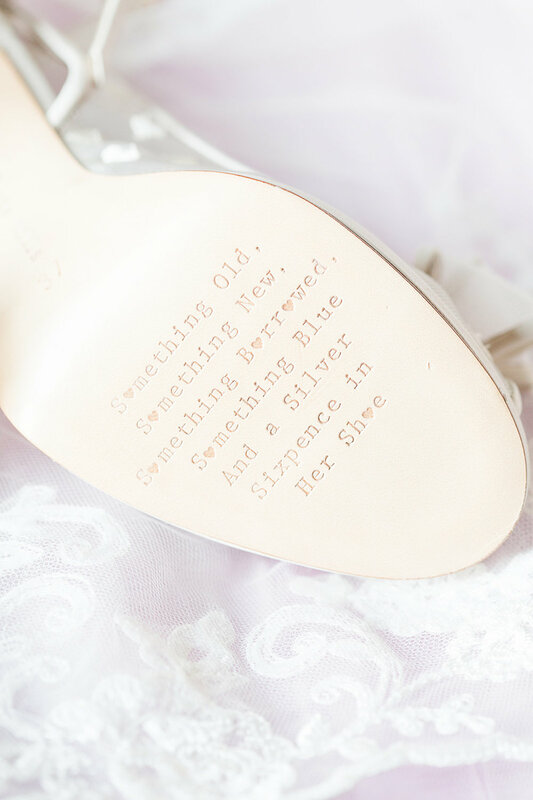 Each item is supposed to bring luck to the bride, and many brides even wore a sixpence in her shoe for extra luck! Here is what each item represents, according to the The Knot: "Something old represents continuity; something new offers optimism for the future; something borrowed symbolizes borrowed happiness; something blue stands for purity, love and fidelity; and a sixpence in your shoe is a wish for good fortune and prosperity." If you're looking for some ideas - whether classic or unique - for this tradition, here are some of our favourites! Symbolizes the bride's family, her past, and tradition. The vintage trend is here to stay so there are plenty of ways to incorporate something old. 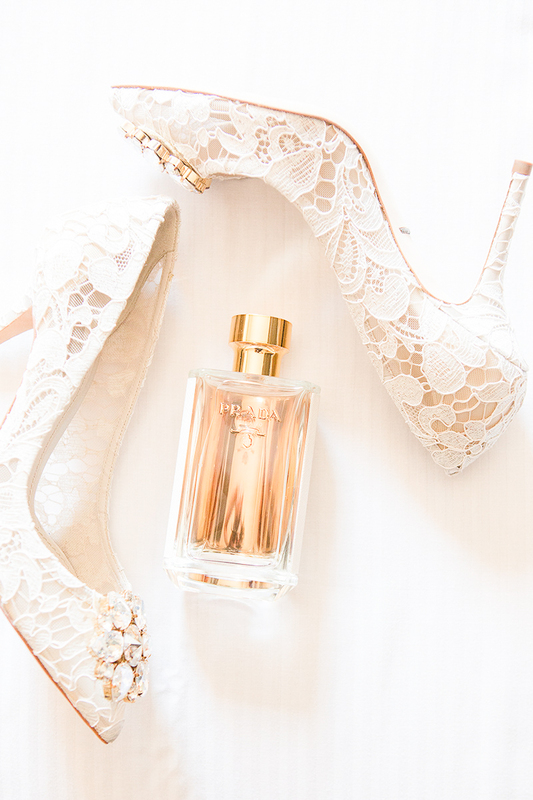 It is a symbol for a bride's new life ahead of her. You may choose to designate your dress as your something new like many brides before you or you may receive a gift the morning of the wedding from your husband-to-be. Unique: A once-in-a-lifetime pair of shoes, or something monogrammed to show off your new initials. A new perfume was chosen especially for the day, new makeup with a (new) signature-shade lipstick, a new haircut! 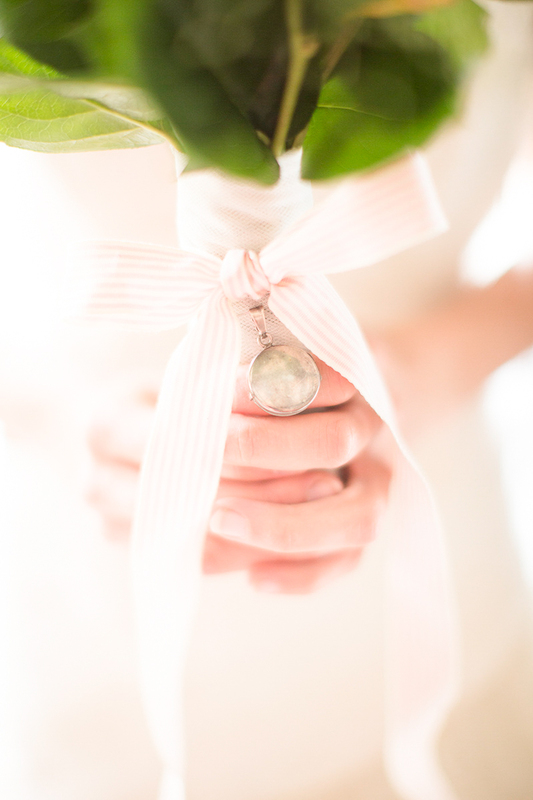 It’s traditionally loaned from another happy bride, and it symbolizes happiness. Simbolized fidelity, purity, and love. For Christian brides, it is also a symbol of the Virgin Mary. A sixpence in her shoe is a symbol of future prosperity and wealth. The sixpence is a British coin that was in use from 1551 to 1967. If you have a chance to purchase an antique coin, tape it to your sole for good luck. Unique: You might prefer to use a coin from the year you met your future husband or from the year you were born. What would your picks be? Or if you're already married, what did you carry/wear for your somethings old, new, borrowed and blue?